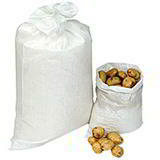 These 1 tonne bulk bags offer an effective solution to store and transport large quantities of products such as sand, recycled plastics, general building waste or even materials requiring UN certification such as asbestos. 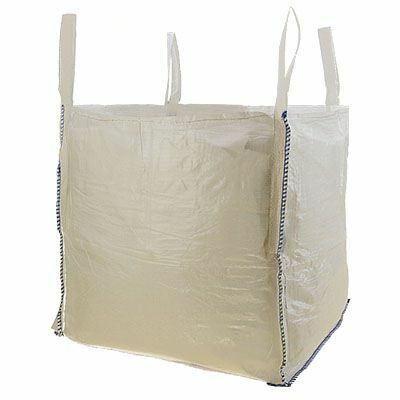 Also known as flexible intermediate bulk containers (FIBC), they are extremely strong and durable, with a weight capacity of up to 1000kg, making them suitable for the busiest of environments. 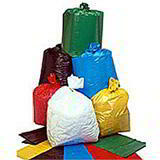 Widely used as builders’ bags, our 1 tonne bulk bags are manufactured from tough woven polypropylene fabric, which is highly resistant to rips and tears that could be caused by heavy or sharp edged products. Available straight from stock for quick dispatch and delivery, with up to 15% off when you buy in bulk. 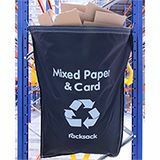 With the capacity to hold up to 1 tonne of weight, bulk bags are one of the most cost effective and reliable solutions to dispose of waste when compared to regular, light duty refuse sacks.